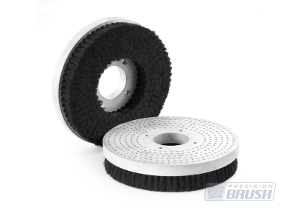 The wire drawn brush is an extremely versatile and sturdily-constructed brush. 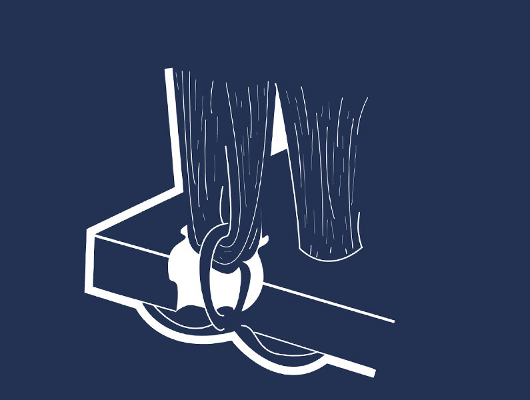 The filaments are held in place by a continuous wire or a nylon retaining cable. 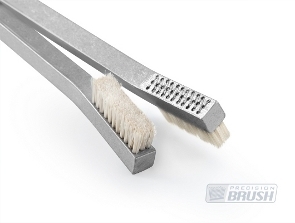 Instead of one pre-drilled hole, as in a staple set brush, there are two holes drilled for each tuft in the brush block. The fill material is inserted into the larger hole and the draw wire is manually pulled through the smaller hole. This hand-sewn wire drawn brush construction allows for extremely well-secured filaments and is ideal for applications where there can not be any filament loss, or where a metal block and tufted construction is required.